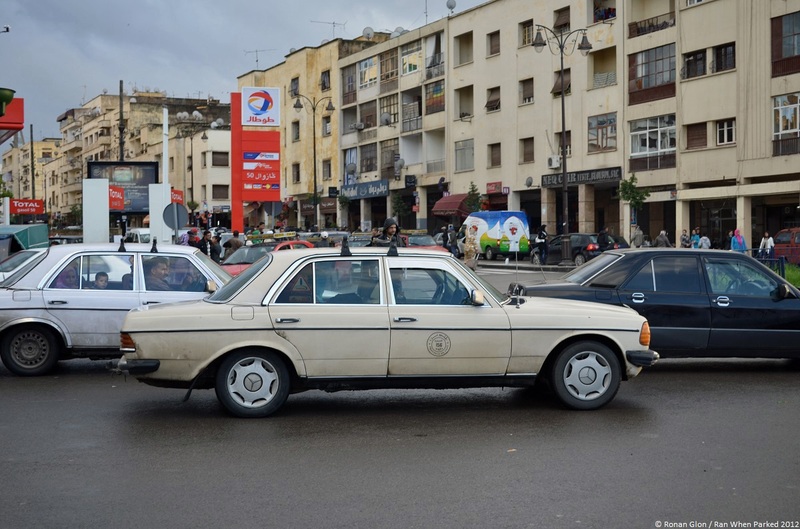 Citing safety and environmental concerns, the government of Morocco is urging taxi drivers to scrap their Mercedes-Benz w123 sedans in favor of new minivans. Government officials are putting the final touches on a cash-for-clunkers program that they hope will quickly get rid of most w123 taxis. In the 1990s and early 2000s, shipping Mercedes w123s (often 240Ds) across the Mediterranean Sea became a lucrative business because even the most tired, worn out cars sold for a jaw-dropping amount of money on Morocco’s used car market. Spare parts also traded hands for lofty sums, causing a noticeable shortage in junkyards on the Old Continent. A controversial law passed a few years ago ended the w123 exodus by making it prohibitively expensive to import a car that is over five-years old into Morocco. Nevertheless, government officials estimate that about 55,000 w123 taxis are currently operating across the country. Many have logged an unbelievable amount of miles and are well past their expiration date. Moroccan taxi drivers are drawn to the w123’s robustness but they also appreciate its size. A driver we talked to in November of 2012 explained the real beauty of the w123 is that it can carry three people up front and four in the back. Having seven people on board is a safety hazard that leads to deadly accidents on the country’s chaotic, often anarchic roads, and the government predicts replacing the w123s with cars and vans designed to carry seven people will greatly reduce the number of traffic fatalities. Critics have also pointed out that w123s pollute considerably more than late-model cars and are to blame for the less-than-stellar air quality in Morocco’s bigger cities. The cash-for-clunkers program will kick off before the end of the year. Details are currently vague at best, but media outlets are reporting taxi drivers who trade in their w123 will be pushed towards either the Dacia Lodgy seven-seater minivan or the larger Renault Trafic van. The government will pay around 50,000 Dirhams (roughly $6,100 / €4,400 / £3,600) per w123 and Renault – Dacia will provide up to 10,000 Dirhams (approximately $1,200 / €900 / £720) towards the purchase of a new car or van. Full details about Morocco’s upcoming cash-for-clunkers program will be published in the coming months. In the meantime, the 35-second video below accurately shows how many w123s are still roaming the streets of Morocco. Pretty interesting! It’s funny to see that Morocco wants to get rid of the streetscape full of old Mercedes. Why could you drive the 190D road tax-free, out of curiosity? I’m not familiar at all with Dutch laws.